Aquatermal Strehová swimming centre is in the southern part of the Banská Bystrica region, in the district of Veľký Krtíš between Lučenec (25 km) and Veľký Krtíš (13 km). The swimming pools are supplied from three 36 °C thermal wells. Housing a thermal spa and wellness centre, Aquaterm Hotel is located in Dolná Strehová in southern Slovakia, boasting 3 indoor pools, 6 outdoor pools, sauna, hot tub and tepidarium. Wi-Fi in public areas as well as private parking are free of charge. Hotel Dolina is located directly in the center of Velký Krtíš in the Novohrad region. We arrange various events such as duck feasts, hunting days, and more. Situated in Velky Krtíš, 300 m from the centre, Penzion Kastiel houses a hot tub with light therapy, an infra sauna with light and music therapy, and a restaurant serving Slovak and traditional cuisine. Free WiFi is available and the front desk is open for 24 hours. 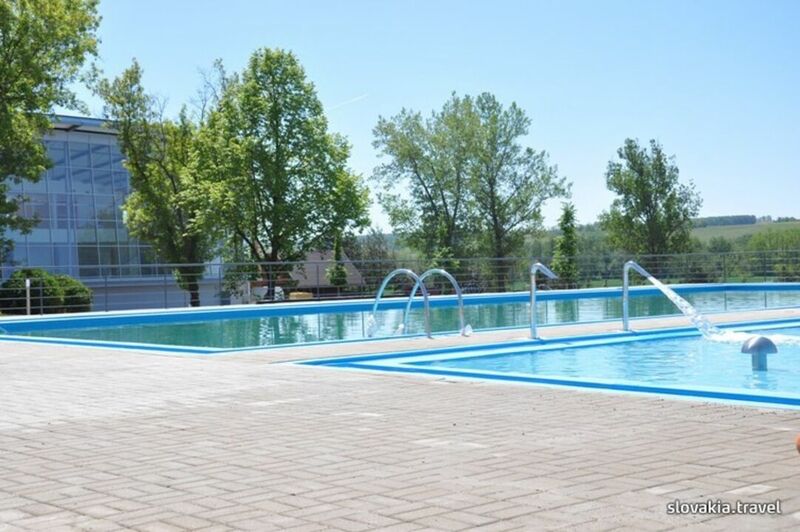 Offering a seasonal outdoor pool and barbecue, Farma Obeckov is set in Obeckov in the Banskobystrický kraj Region. The accommodation boasts a sauna. Dudince is 33 km away. Free WiFi is provided throughout the property and free private parking is available on site. The accommodation features a seating area. There is also a kitchen, equipped with an oven. A fridge and kettle are also available. Each unit is equipped with a private bathroom with a bath or shower, free toiletries, and a hairdryer. Towels are offered. Farma Obeckov also includes a sauna. The property also offers grocery delivery and packed lunches. Free use of bicycles is available at the property and the area is popular for hiking. Mátraszentimre is 50 km from Farma Obeckov.